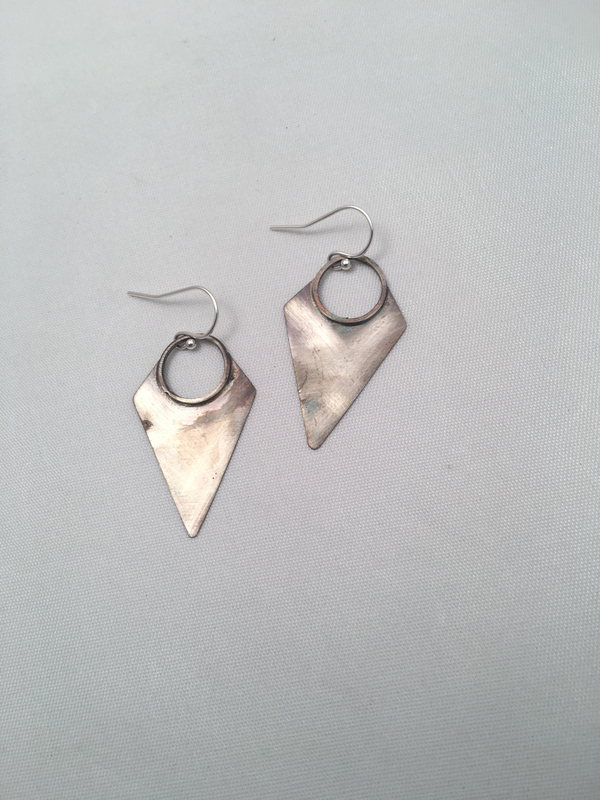 These earrings have been hand forged by Lynsey from recycled sterling silver. 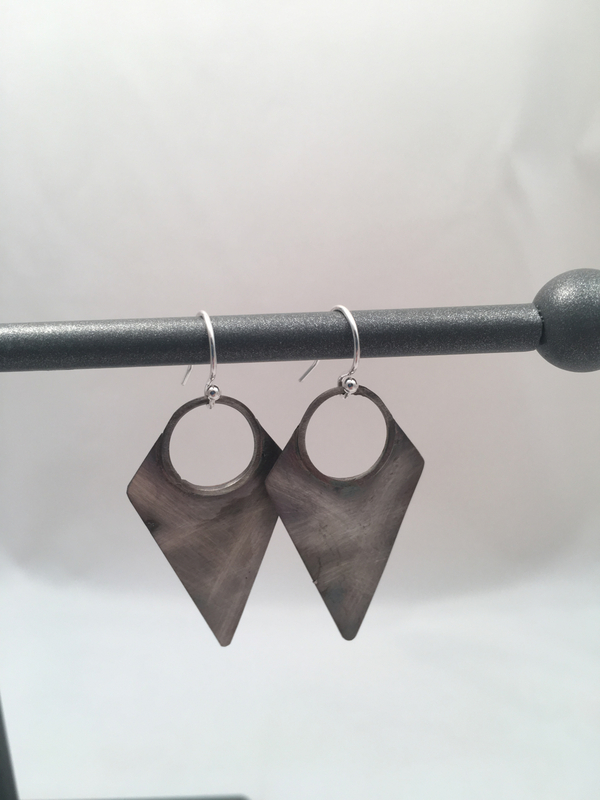 They have a gorgeous brushed finish that has been oxidized to create lovely color in the silver. Thear are 1 3/4 inches (ish) long.